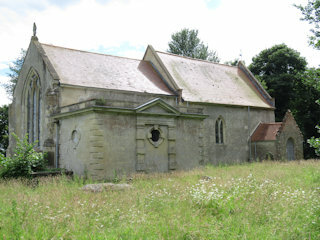 The Berney mausoleum is the square building that can be seen in the main photograph of the church. The mausoleum was locked but it was possible to photograph each monument through the door grill, hence the strange angle of the photos. The GPR holds 41 grave and 102 person records for the interior monuments. The status of the photographing of the interior monuments is believed to be complete. There have been 4 requests for photographs from the interior monuments.